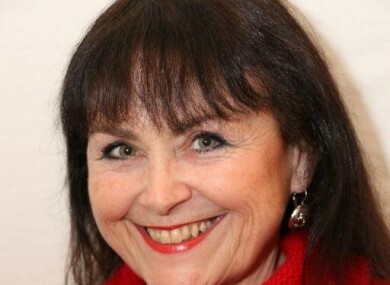 CORK COUNTY COUNCIL has confirmed that Claire Cullinane, a councillor for the Cobh area, has died suddenly. The Independent councillor was elected to serve the people of Cobh and Glanmire in 2014. Declan Hurley, a fellow independent, told TheJournal.ie: “We are absolutely devastated about the news that came out this morning. Hurley paid tribute to her devotion to Cobh and the greater east Cork area. “She worked endlessly and tirelessly for Cobh and fought tooth and nail for her constituents,” he said. “Her honesty in the work she did was stood out most,” according to Hurley. He praised her drive to improve tourism in the area, her exceptionally good humour and said she brought a “tremendous positivity” to all the debates held in the council. She “stood for the ordinary person” by getting involved in issues such as the rental crisis. ”She put everything she had into what she did, and what she loved,” Hurley added. She’ll be sadly missed in the wider corridors of county hall and by the people of east Cork. Tributes were also paid to Cullinane on C103′s Cork Today Show. Everyone McGrath has spoken to has expressed their shock and sadness at the news, he added. Sinn Féin councillor Paul Hayes also spoke to the show, wishing to express his deepest condolences to her family and her colleagues. He singled out her creativity and participation in the community, mentioning how Cullinane and colleagues brought the story of Cumann na mBán to life for the people of Cork. Chief executive of Cork County Council, Tim Lucey, also sent his condolences. He said in a statement: ““Councillor Cullinane contributed enormously to the workings of this Council. “She was incredibly dedicated to her role as a public servant, was passionate about Cobh and represented the people of Cobh, her Municipal District and County admirably. On my own behalf, and on behalf of the staff of Cork County Council, I offer my deepest sympathies to Claire’s family and friends. Email “Colleagues express shock and sadness as Cork councillor dies suddenly”. Feedback on “Colleagues express shock and sadness as Cork councillor dies suddenly”.